When restrictive immigration laws were introduced in the late-nineteenth and early-twentieth centuries, they involved new requirements for photographing and documenting immigrants--regulations for visually inspecting race and health. This work is the first to take a comprehensive look at the history of immigration policy in the United States through the prism of visual culture. 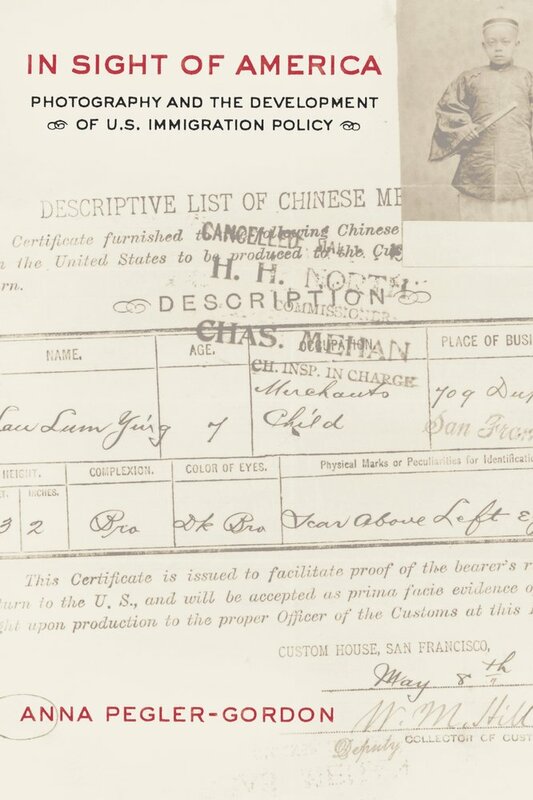 Including many previously unpublished images, and taking a new look at Lewis Hine's photographs, Anna Pegler-Gordon considers the role and uses of visual documentation at Angel Island for Chinese immigrants, at Ellis Island for European immigrants, and on the U.S.-Mexico border. Including fascinating close visual analysis and detailed histories of immigrants in addition to the perspectives of officials, this richly illustrated book traces how visual regulations became central in the early development of U.S. immigration policy and in the introduction of racial immigration restrictions. In so doing, it provides the historical context for understanding more recent developments in immigration policy and, at the same time, sheds new light on the cultural history of American photography. Anna Pegler-Gordon is Associate Professor of History and Asian American Studies at Michigan State University.